I tried to create a user account it said email already in use. I tried to have my info emailed to me so I could sign off n then it says that email is not in our system but when creating it said it was. 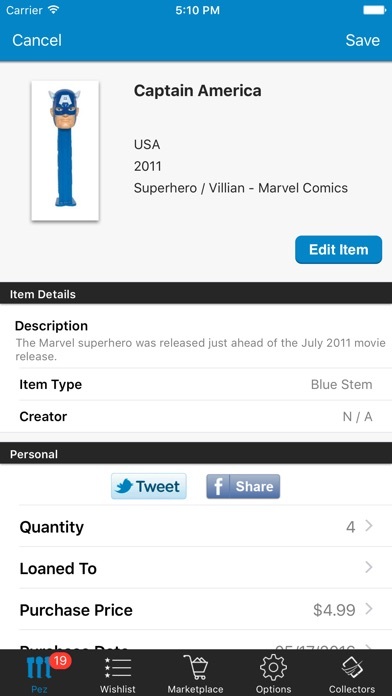 I’ve never used this app before I PAID for it today now I’m out $5 and still have to buy another app for my collection there is no one to contact about getting my money back I can’t get past the login front page this app stole my money one screen says email in use the other screen says that email not in our system. Scam!!!! 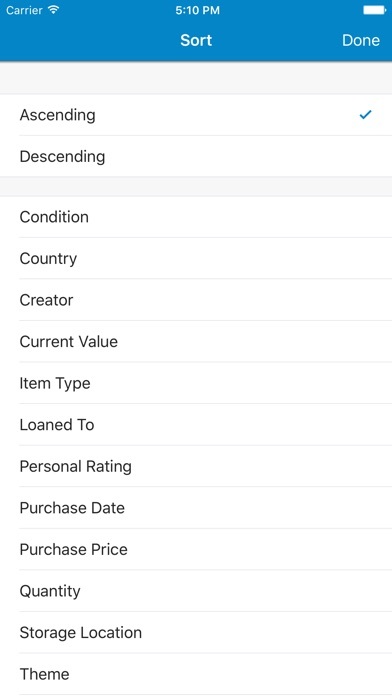 This app uses YOU to build their database. They have no database to build off except for what users have entered. 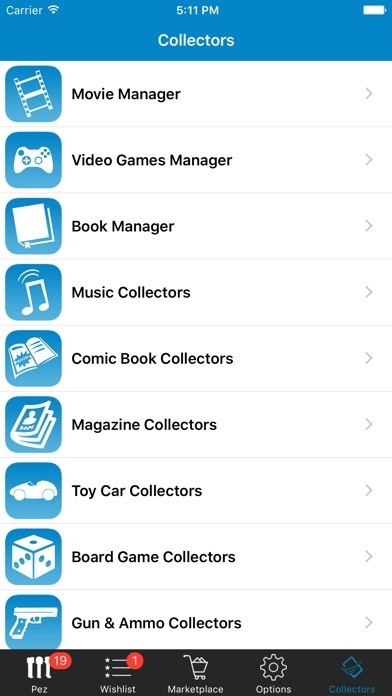 I would've thought that for the price of this app that 1) you could use the barcode to enter the Pez automatically via your camera or 2) they would have lists upon lists of premade professionally looking lists to choose from. So I sit here with my large list of Pez and their crappy way of entering and I am slightly angry. But hey when I am done they will have a better data base to choose from. A must have for PEZ collectors! Excellent app! I have about a thousand PEZ and now I can know what I have when I am out looking for more!! I wish there was a total value for the collection. My photos won't save if there was not a photo already there. All the countries pez came from are not in the country list. A lot of things good be better but it's still not bad. Easy to sort through pez. Good start needs a lot more. Entering collection is tedious. Have to search for dispenser and hope that there are multiple versions of the same one with various names. Would prefer a way to see the whole database listed with a check box to note if I have/don't have it. Then be able to filter on that check box to see my collection or what I need. After downloading an upgrade lady week, my entire collection was deleted. Very disappointing. 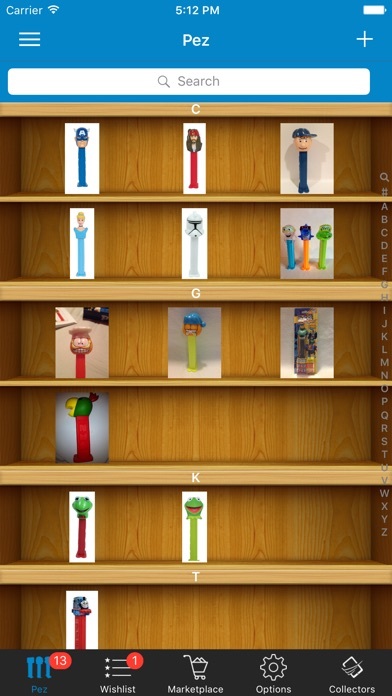 I have over 500 Pez in "my" database. Since January, I have added another 30 but this week those recent entries have disappeared. No answer from support. Not pleased at all. 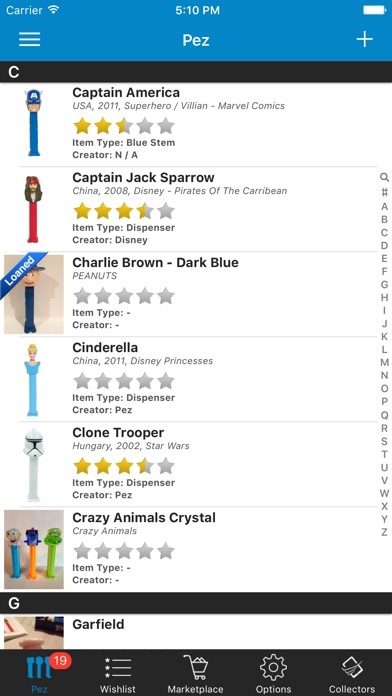 This app was good untill i had 190 pez listed and it cleared them all! This app stinks! Im so disapointed! There is no help or suport.